Who knew that a pot of houmous could make such a fabulous, quick and creamy pasta sauce? We did. Whizz all the ingredients together until silky smooth, then stir through penne pasta for an easy midweek meal. 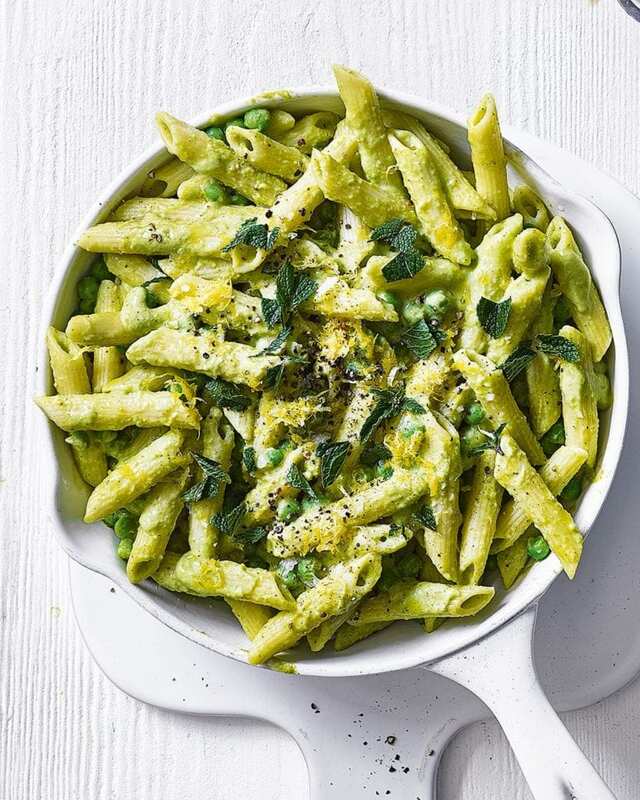 avocado, courgette, coconut milk, peas, the finely grated zest and juice of ½ lemon, the leaves of 5-6 fresh mint sprigs and plenty of salt and pepper in a blender. Whizz until completely smooth and bright green. Once cooked, drain the pasta, return to the pan and toss with the avocado sauce over a medium heat until well coated (but don’t heat too much – think of it as a saucy pesto). Taste, then add an extra squeeze of lemon, if needed. Sprinkle over a little lemon zest, some black pepper, a few torn mint leaves and some sea salt flakes to serve.